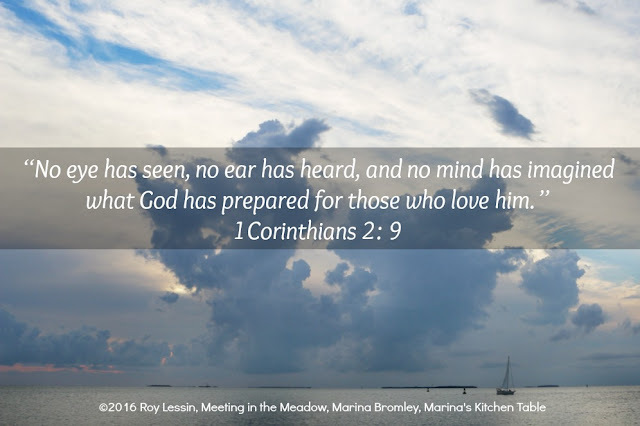 That is what the Scriptures mean when they say, “No eye has seen, no ear has heard, and no mind has imagined what God has prepared for those who love him.” But it was to us that God revealed these things by his Spirit. For his Spirit searches out everything and shows us God’s deep secrets. Jesus came to us from heaven, lived among us, and returned to heaven. Heaven is His home and it is ours. Jesus talked a lot about heaven and told us that He was going there to prepare a place for us, and what a place it must be! One of the things that the Holy Spirit is working within the hearts of God’s people is the knowledge that heaven is greater than anything we have ever thought about or imagined. Reading books about heaven, looking at paintings about heaven, or even listening to stories about heaven don’t help us very much. These sources are much too limited to give us a full account. Often, people who do not listen to what the Holy Spirit is saying, tend to minimize heaven. They think that life here on earth (based on what they have seen, heard, or imagined) is as good as it gets. Their concept of heaven is not very exciting, but rather dull, monotonous and boring; they know nothing of the language, the sounds, the sights, and the realities of heaven.